This 1909 De La Rue Onoto is a 4 size Straight-holder plunger-fill in BCHR. Early “Patent Pending” model made in the US. 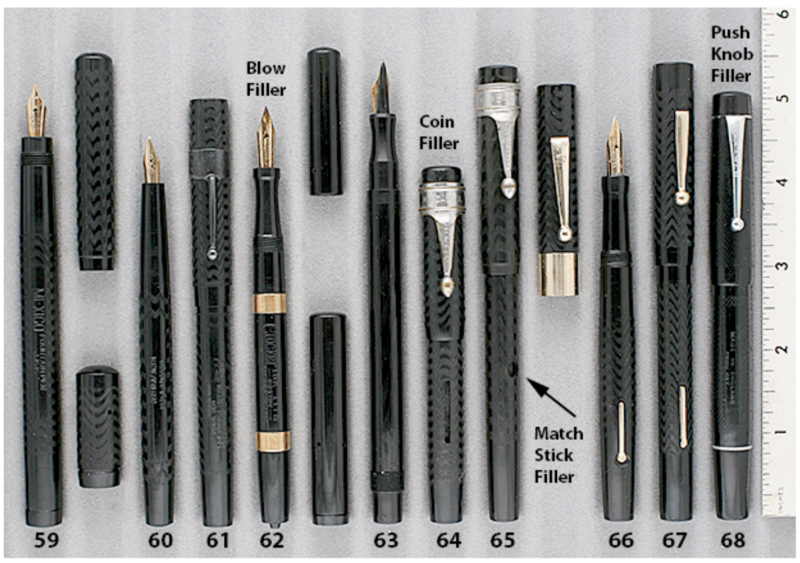 De La Rue was founded around 1813, with fountain pen production beginning in 1905 with their “plunger” filling system (while most other pen companies were still selling eyedropper-fill pens). Earliest models, such as this one, were made with both an overfeed and underfeed (the overfeed was removed in 1921). In 1909 a manufacturing facility was opened in the U.S. Signed Onoto, fine nib. Chasing and barrel imprint somewhat weak, otherwise near mint. Item #63 in Catalog #84. 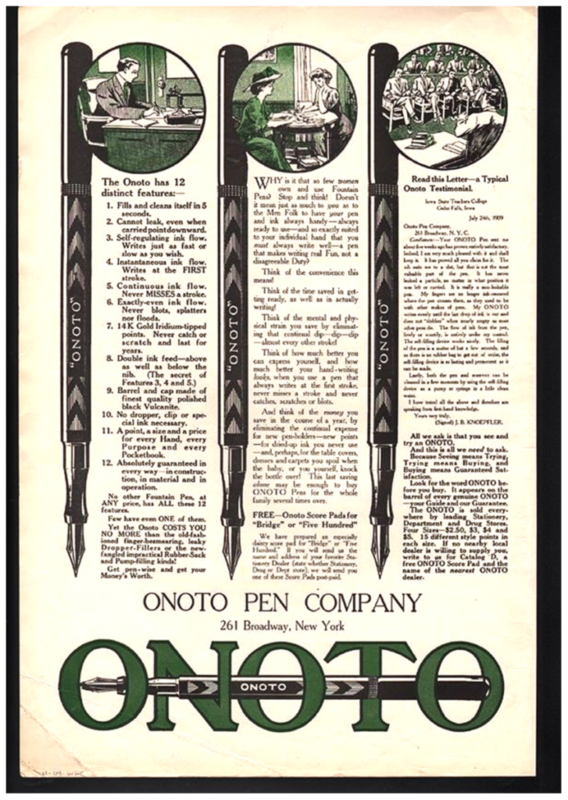 This entry was posted in Vintage Pen, Vintage Pens and tagged Catalog, Catalogs, Extraordinary Pens, Fountain Pens, Go Pens, GoPens, Vintage Fountain Pen, Vintage Fountain Pens, Vintage Pen, Vintage Pens. Bookmark the permalink. Follow any comments here with the RSS feed for this post. Post a comment or leave a trackback: Trackback URL.